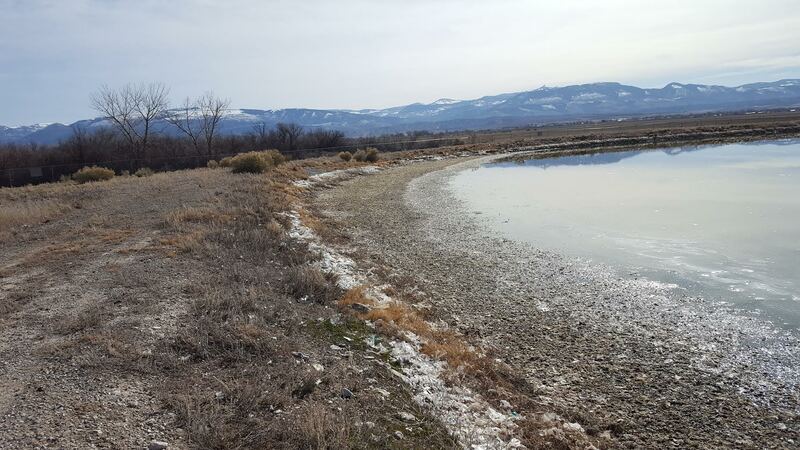 Trash and other debris created a unique problem in the lagoon in Gunnison City. Where did all of this debris come from? Well, a large portion of it has been flowing in from the nearby prison. Prisoners have been known to flush food, trash, and other debris down their toilets. Massive amounts of buildup negatively impact the functionality of even big city wastewater treatment facilities. Our friends at Gunnison city wanted help coming up with a solution as soon as they discovered issues with their treatment facility. 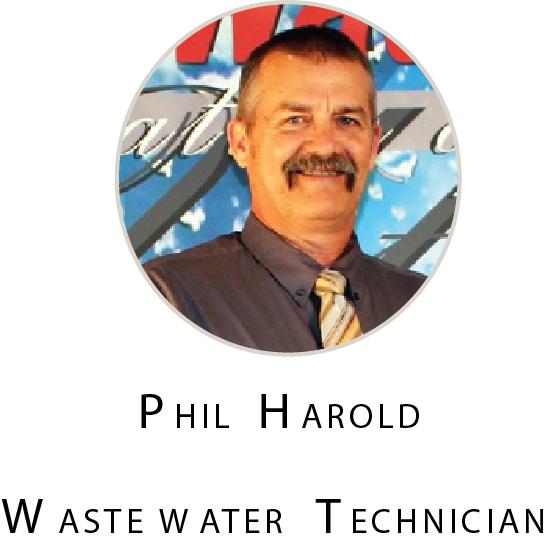 They reached out to our expert Wastewater Technician, Phil Harold. After a thorough inspection by Phil, Don Childs (Public Works Supervisor) and Matt Reber (Parks Director) the decision was made to burn the trash around the lagoon. This would take care of the visible problem within the lagoon. The focus then shifted to the molecular level, to determine whether or not the good bacteria in the lagoon could survive the current state. This prompted a BOD loading on the pond. A BOD is the “biochemical oxygen demand” in water. This measurement determines the rate at which microbes are using the oxygen in the water. A proper assessment can then be made whether or not the water is being treated well enough by the microbiology within it or if more needs to be done to aid in the treatment of the pond. Phil Harold and Don Childs brought on the support of Curt Ludvigson, Development Specialist for RWAU, and several Gunnison city employees to help in the process of drawing samples from the lagoon. They then spent the next 24 hours drawing water samples to determine the load coming into the system. While they waited for the results of the BOD load, they chose to schedule a sludge judge (a sludge judge is a tool to measure settled solids in a wastewater treatment plant). The numbers came back indicating that the amount of good bacteria in the pond was still adequate for the size of the lagoon. During the sludge judge, Phil noticed some white strands of biology (good bacteria) dying in the lagoon. White is the first indicator that something has gone wrong. As they continued they found huge strains of white biology that were dying off. Something toxic was within the lagoon killing off the bacteria. A meeting was promptly scheduled with Mayor Lori Nay to discuss the condition of the pond. The toxic substance that entered the pond could be one of many things, including a drug dump. The origin of such toxic substances is difficult to find, making it difficult to find the root of many problems treatment plants may face. Phil advised that in order to save the currently living good bacteria as well as those that were sick and dying, a couple of things needed to be done. Potassium permanganate (an inorganic chemical compound) was placed in the pond and inlets to add oxygen to the microbiology. They then added an organic probiotic substance which added good bacteria, enhancing the microbiology and eliminating sludge. This ultimately saved the good bacteria and prevented the lagoon from going septic. If the lagoon had gone sceptic, they would have had to dredge (pull the water out) the pond. Small towns don’t have large enough treatment facilities with the ability to shut down parts of the facility while still maintaining sewage treatment. Factoring everything together, Gunnison City was able to save hundreds of thousands of dollars in dredging and infrastructure costs. Within a matter of weeks, everything in the pond was back to normal. While a costly disaster was averted in Gunnison, it is important to note the possibility of this occurring in other towns. Going down to the lagoons and taking daily measurements and checking the current health conditions of the microbiology in the lagoon is crucial to a properly functioning pond. The sooner problems are caught, the cheaper and easier they are to fix. If you've had a noteworthy experience with someone from our staff, we want to hear about it! Send an email to christian.jensen@rwau.net with your story.